Does your relationship need a refresher? We can help. 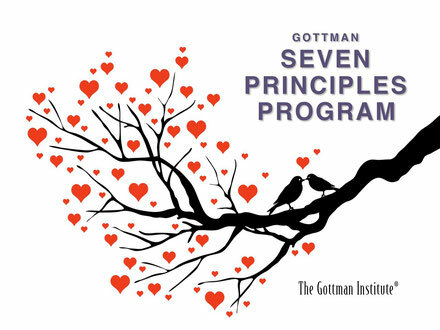 In this course, we combine our professional experience working with couples with the knowledge of internationally acclaimed relationship expert Dr. John Gottman. From young couples preparing for their next big step, to those celebrating their 40th anniversary, this class is for you. This workshop will transform your relationship. 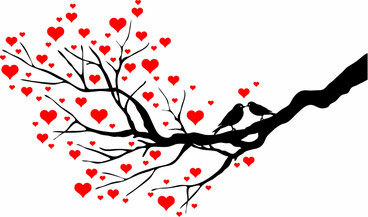 Get the relationship you want! A copy of our e-book "Hot dates in and around Victoria"
We are excited to present this workshop to couples in the Victoria/Vancouver Island region. 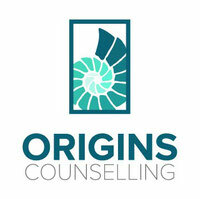 We are a registered counsellor and therapist who work with couples on a daily basis to improve their relationships. In our work, we have found that there are some basic tools that benefit almost any couple that walks through the door. Most of these tools come from The Gottman Institute. Using our own professional experiences, (combined 25 years of work) and the research and tools of cutting-edge researchers and clinicians, we have pulled together a great 8 hour experience for couples from all walks of life. But really, what will we do with 8 hours? The format is combined lecture style, with plenty of time to break off for one-on-one time with your partner to practice the tools and ideas in real time. Jody and Hannah are available to assist couples through the exercises but you will not be sharing with other couples. The workshop is designed to help get you started with all the tools you need to make deep lasting changes. And, we will have fun! Though your relationship is serious, the tone of the workshop is fun and casual. We will have local coffee, tea, and snacks. This workshop does not require couples to share with other participants. Cost: $225 per couple ($200/couple if you register by Jan 25). Price includes 8 hours of instruction, 2 workbooks, the book - The 7 Principles to Making Marriage Work, and a wealth of other resources in including: Hot Date Ideas in and around Victoria, our personal list of book, website and video resources we use with couples in our own private practices. P.S. We run this workshop four times a year so if you are not able to make it to this one but would like to be invited to the next one, please get in touch and we will add you to out invitation list. Craving Change is co-led by Hannah Caradonna (psychotherapist) and Adrienne Grange (nutritionist). Each participant is given a workbook and other handouts. The fee is $100. Hannah Caradonna and Jody Watson are running this workshop In June. From young couples preparing to move-in together to those celebrating their 40th anniversary, this class is for you. Class size is limited. Cost: $225 per couple ($200/couple if you register by May 25). Price includes 8 hours of instruction, 2 workbooks and 1 book (The 7 Principles to Making Marriage Work) for each couple. *Lara Feldman is our former Origins colleague who now works out of a new office space. Email her at feldmanlara@gmail.com to get in touch. Suitable for anyone interested in learning to meditate, this course uses a range of approaches - including simple instructions, experiencal exercises, movement, and discussions - to help you develop a gentle, appreciative relationship with yourself and discover your inner wisdom and vitality.